For some reason after the memorial service we held for Melody, when walking past this area on the other side of the breaker wall, this just called to me. 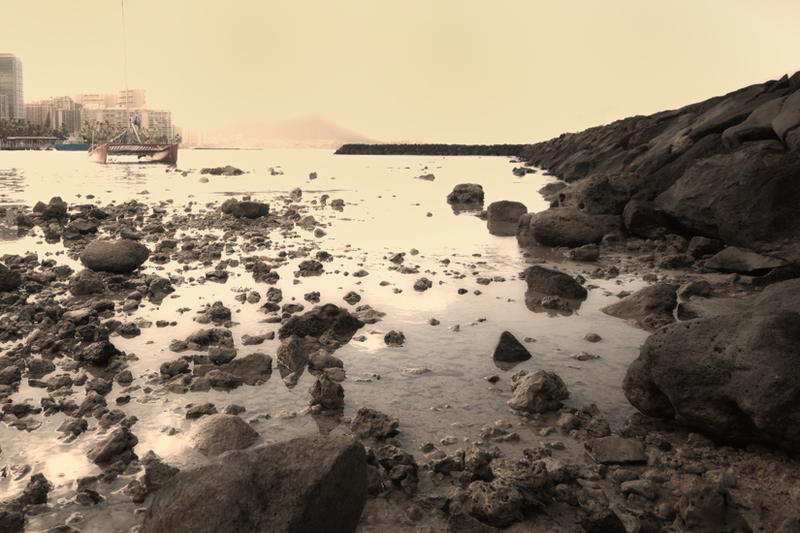 Something about all of the calm water, the rocks going out to the ocean- the site of Diamond Head through the “Vog” and the catamaran just waiting for someone to set sail. I still just really like the way this photo makes me feel- nothing all that special about it- other than the feeling it gives me. I spent around three hours shooting this Restaraunt at Seaport Village in San Diego, carefully composing each shot, taking time to think about the composition, relocating, changing angles, lenses, filters and waiting for the light of the setting Sun. Care for a Cocktail, Madame? 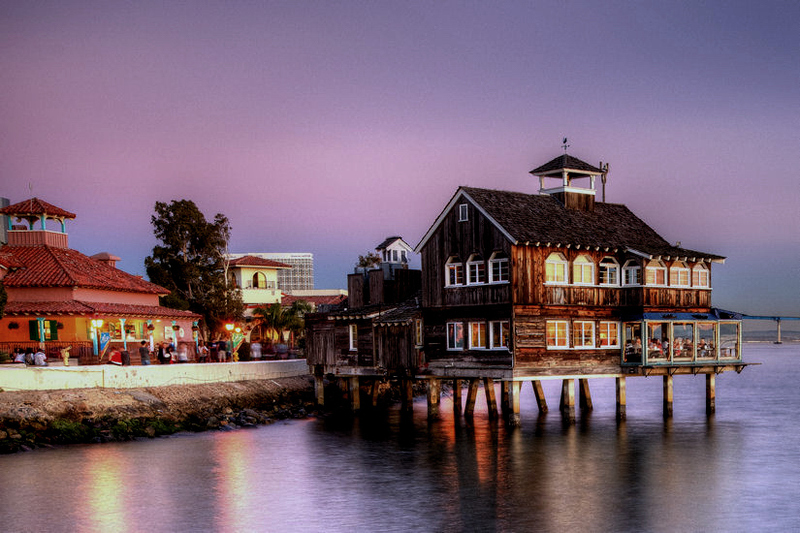 This is another look at Seaport Village, check out the previous one on the blog to see the difference. 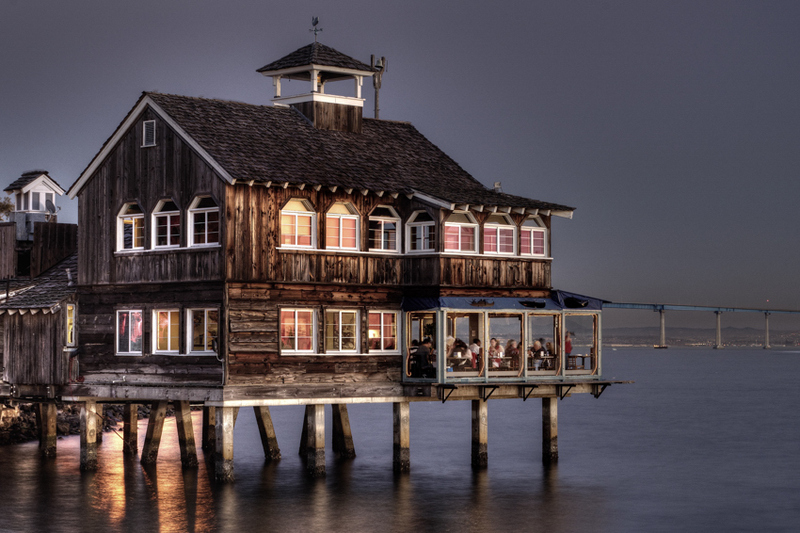 Seaport Village is home to several bay-view restaurants: the Harbor House restaurant, Edgewater Grill, Buster’s, the Pier Cafe, Anthony’s Fish Grotto, and more as you walk along the bay. There is also a cafe aboard the adjacent USS Midaway aircraft carrier museum. Although no one really knows for certain, everyone has their favorite theory about how Willys Quad came to be called the Jeep vehicle. Some people say the Jeep name came from the slurring of the acronym G.P. for General Purpose vehicle, the designation the Army gave to the new vehicle. Others claim the vehicle was called a “Jeep,” in reference to the character “Eugene the Jeep” in the 1936 Popeye comic strip by E.C. Edgar. Eugene the Jeep was a small, impish looking animal that had the power to travel back and forth between dimensions and could solve all sorts of problems. This one rests at The Bernardo Winery in San Diego, California after a long and productive life! 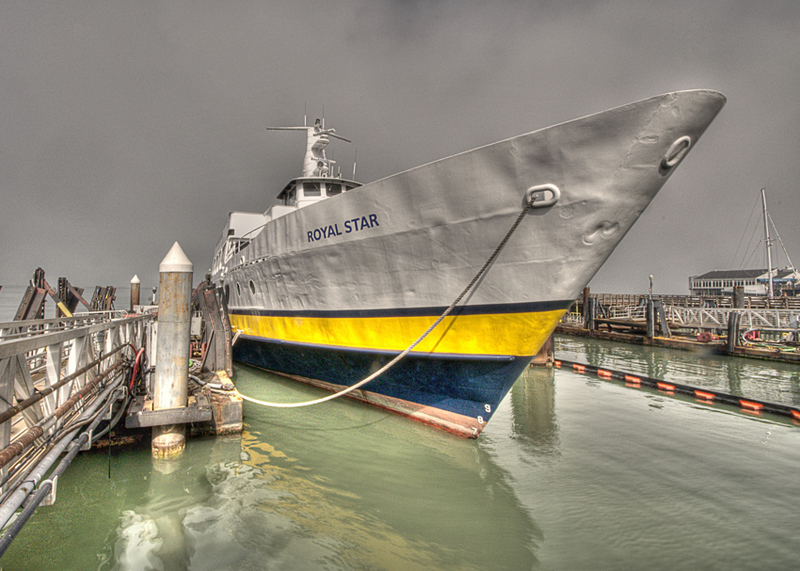 After the cruise ship recent debacle in San Diego, I was reminded of the battered hull of The Royal Star in San Francisco. 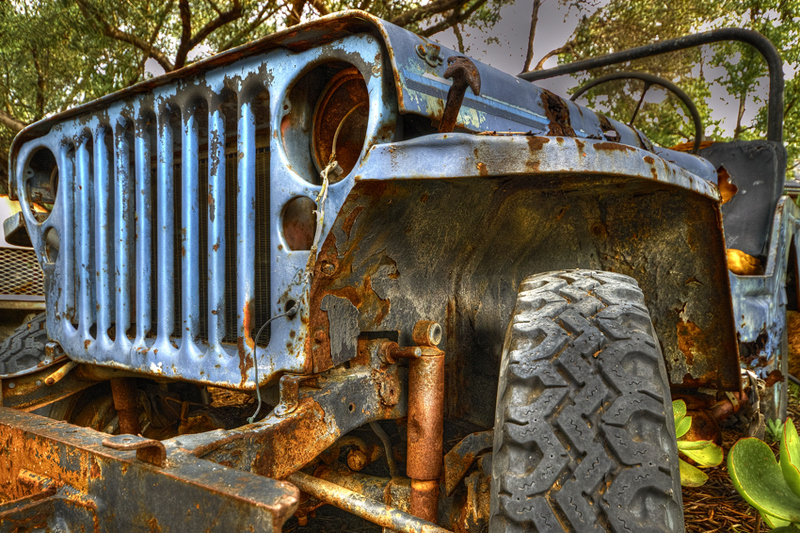 HDR exposes the beating these work horses endure! 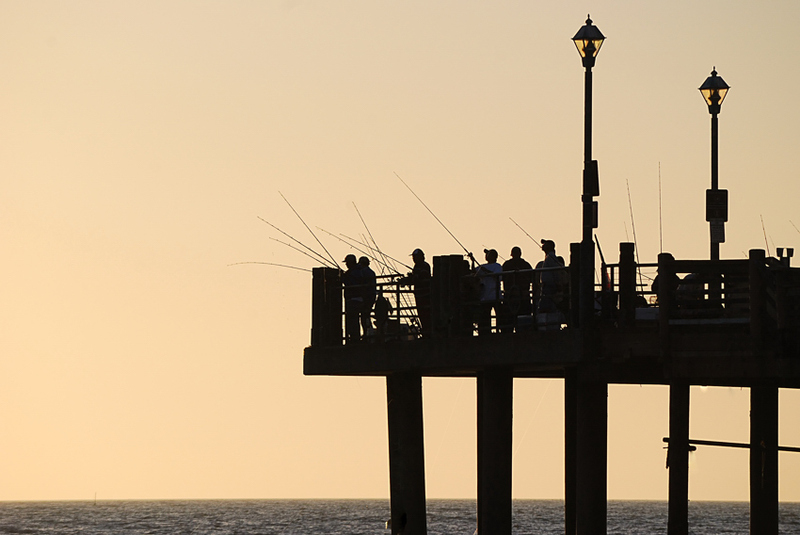 At first I thought there was an antenna farm on the pier, but closer examination with a 200mm Nikkor, Fishermen! (Duh). Simple composition after the sun had set, liking the contrast with the pastel sky. 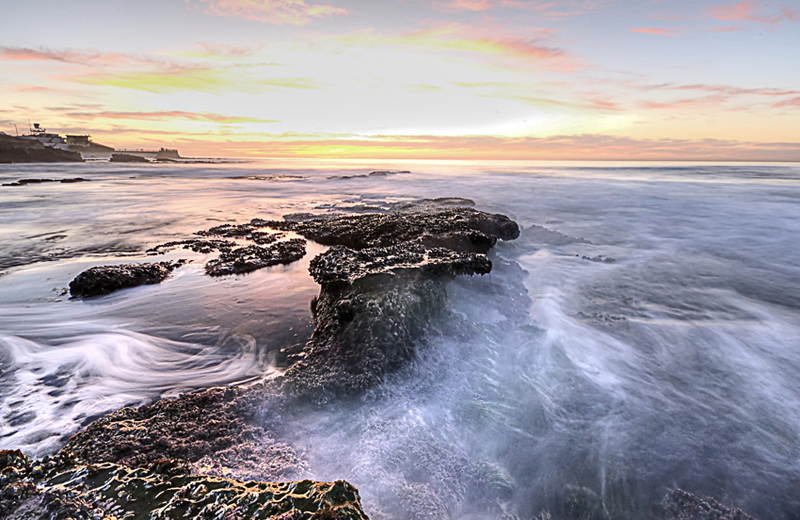 La Jolla Cove is one of the coolest places in San Diego. Good places to eat, Galleries, Sushi and the views of the Ocean! I spent 2 hours dodging the incoming High Tide to get this sunset…returned with soaked shoes and pants..well worth it!